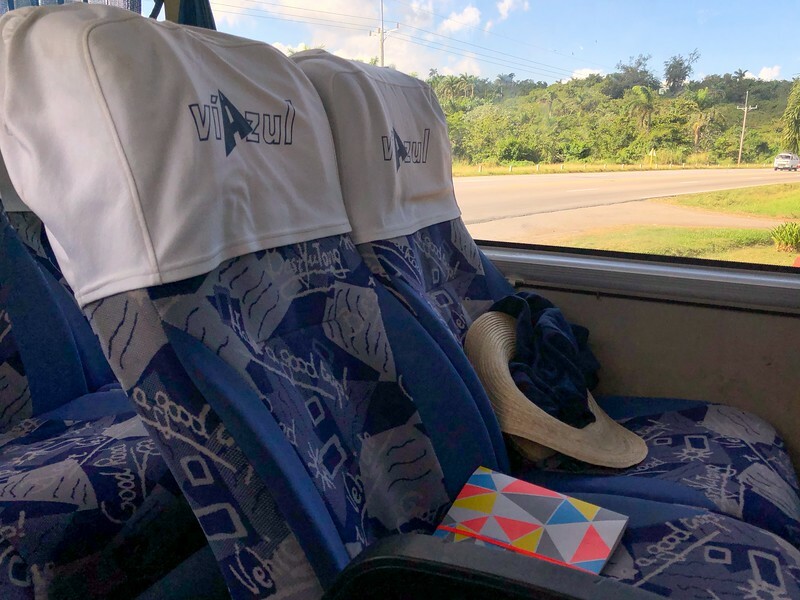 The Viazul bus is a charter bus that is similar to the Greyhound bus in the United States and they offer service to many cities across the island. It is a convenient and cost-effective way to get from city to city. During our trip to Cuba we took the Viazul a few times; once from Varadero to Havana, Havana to Viñales and Viñales back to Havana. We had read that some of the more popular routes (like the route from Viñales to Havana) tend to be filled to capacity. Not wanting to risk it by booking our seats at the bus station, we decided to take a chance and pre-book our tickets online. The process of booking was very straightforward and I was left with an order confirmation which had a note to print out and bring that with you to the bus station. If you are planning to book your ticket online you must do so at least 7 days before the departure. You can find the full route table and purchase your tickets on the Viazul Website. Get to the bus station early. When you arrive you will be required to check in and get your boarding document. To get your boarding document you need to have you payment confirmation and your passport. You will be given a boarding document which is really just a piece of paper with some basic information and a seat assignment. Don’t be fooled by this...there are no assigned seats. About 15 minutes before departure the bus driver will start tagging bags to be put underneath the bus. (Side note the Viazul website has a weight limit of 20kg, but we never even saw a scale for weighing baggage) If you are traveling with someone else, I recommend one person be responsible for getting the bags under the bus and the other wait in line at the the bus door to grab seats...remember no assigned seats and the bus will most likely be full. If you book a trip on the Viazul do not be late...the bus will leave you! In Varadero we definitely saw them leave people behind that had not checked in early enough. The bus driver will collect your boarding ticket either once everyone is on the bus or as you are boarding the bus. We had it both ways so I guess it varies by driver. Overhead there are some small storage spaces, kind of like a long shelf that can hold small bags, such as a backpack or a purse. There is also some space by your feet but it is pretty minimal. The seats are pretty comfortable, with large windows for watching the countryside go by. Spacious reclining seats on the Viazul Bus with large windows. Be warned that on both of our bus rides the bathrooms were locked. Although based on others experiences I’m not sure I would wanna go in there anyway. Some of the seats would not stay upright so you might have someone in front of you that has a seat that won’t stay upright so they are basically in your lap. Lastly, the wire flip down cup holders were more of a bother than anything else...most of them do not stay up and you end up bumping into it constantly. With the bathrooms on the bus not being available most drivers will make a stop about halfway thru the trip for restrooms and food. During the trip from Varadero to Havana we made one stop and then from Havana to Vinales we made another stop. Unfortunately most does not mean all, from Vinales back to Cuba we did not make a stop. Make sure you have coins for restroom stops as toilet paper is usually not available without paying a small fee. Get to the bus station early. They will leave on time and will not wait for late arrivals. Bring coins for restroom stops along the trip. Book you tickets online to ensure you are able to get seats on the bus you want. If you are traveling with someone, divide up between getting luggage on the bus and the other get in line for grabbing seats. PIN THIS POST! To your cuba travel board! Never been to Cuba but wanting to go. The prices you listed are so affordable and it actually sounds and looks quite nice! Good option for when we get to go someday. Thanks for the tip about bringing coins too….we are bad about keeping cash on us! Likewise about the carrying cash. I was actually a bit nervous because I have become so used to being able to use a card if needed. We made sure to plan our budget and figured out what we could spend per day…that made it easier to manage. 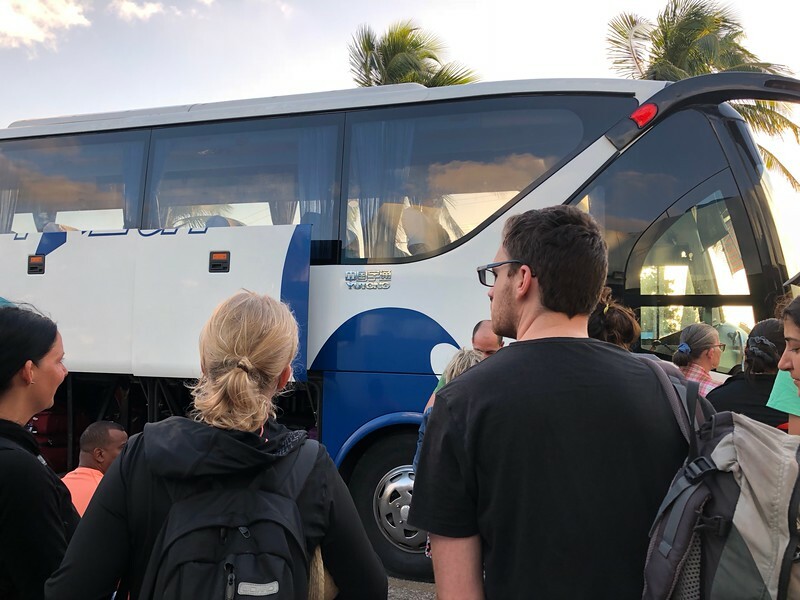 It’s great to know about this handy bus service for getting around Cuba! Love the fact that you can book tickets online ahead of time – makes for great peace of mind to getting your ride when you need it. The bus is always a good way to get around a country in a cost-effective way, especially for students. I really enjoyed taking the bus. Cheap and they actually run on time, booking ahead of time was great because that was less cash that we had to budget and carry around.. I have heard that taking a flight within the country is really not recommended as they are usually very late and not very reliable. 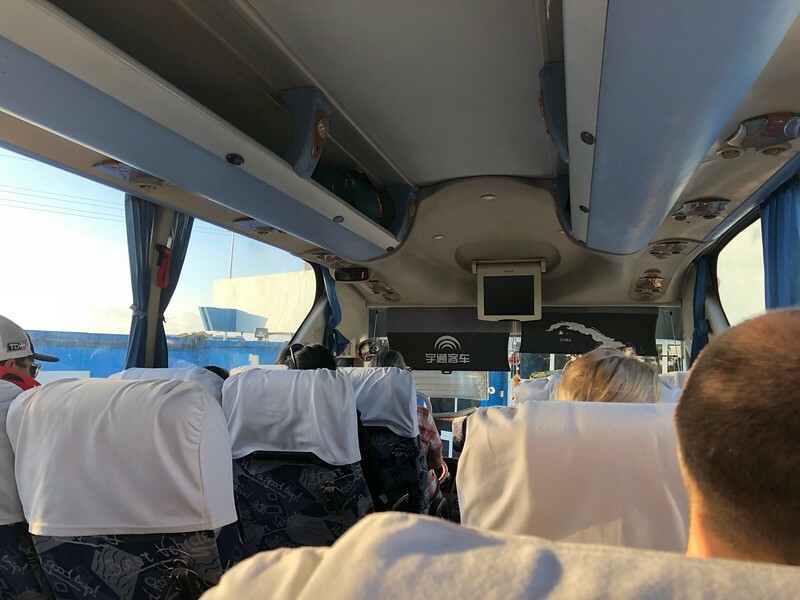 We had no issues getting seats, but as recommended we split up…he put bags under the bus and I got in line for boarding the bus. People that got on last did end up having to sit separate from each other. It’s funny to see how many bus companies around the world issue tickets with assigned seats when there is so such thing for that bus. At least this one looks really comfortable, which is a big deal when riding for 15 hours. Locked bathrooms?! That doesn’t sound fun. I’d probably just bring a roll of toilet paper with me for the bathroom stops. Sounds like as comfortable as the buses look, they could use a few improvements and repairs. Yeah the locked bathroom on our bus was a bit of a downer…although who knows what was behind that door. If the buses got a little bit of love they would have been perfect! The Viazul sounds like a great way to get between Cuban cities – good to know that the online booking process is straightforward and easy. So cheap for transport too! Thanks for the tips on what to expect – good to know to get there early and ignore the seat assignments. Really clever idea to let one person handle the bags and another snag some seats. And duly noted to not need the bathroom during the bus ride!! Great tip to divide and conquer the bag drop/seat selection dilemma! That is definitely one of my top tips! These are great tips for Cuba, especially for those who want to explore on a budget. Most tourists rent a car or do a tour. 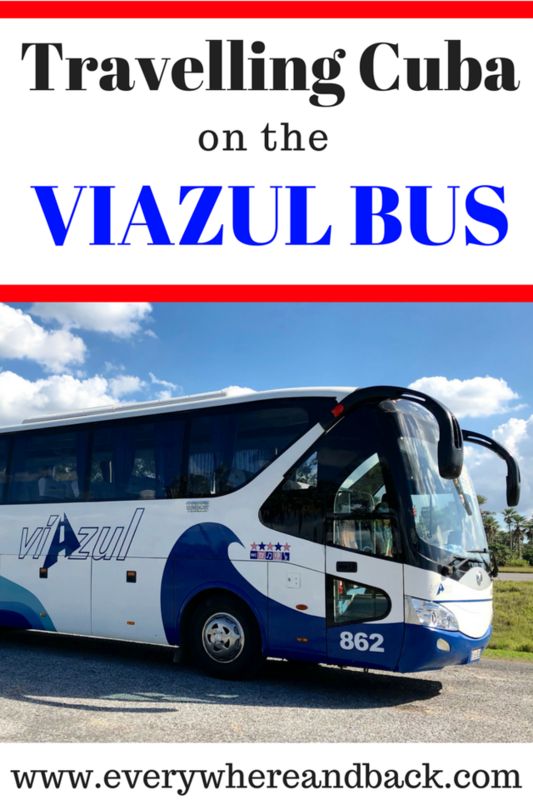 We took the local bus around the area in Varadero but never tried Viazul. I totally would next time so thanks for the guide. I had read that it was really difficult to find cars for rent in Cuba so we didn’t even try, but that is what we normally do when traveling. For the most part I try to avoid tours only because there are a lot of people and I like to find my own way when exploring. Really informative post. I feel like I know what to expect now when taking a bus in Cuba. The locked bathrooms are a bit concerning though. I have the worst bladder! I read that others experienced the bathrooms being unlocked during their trips. I dunno if they are unlocked not he longer trips or if it is at the drivers discretion. 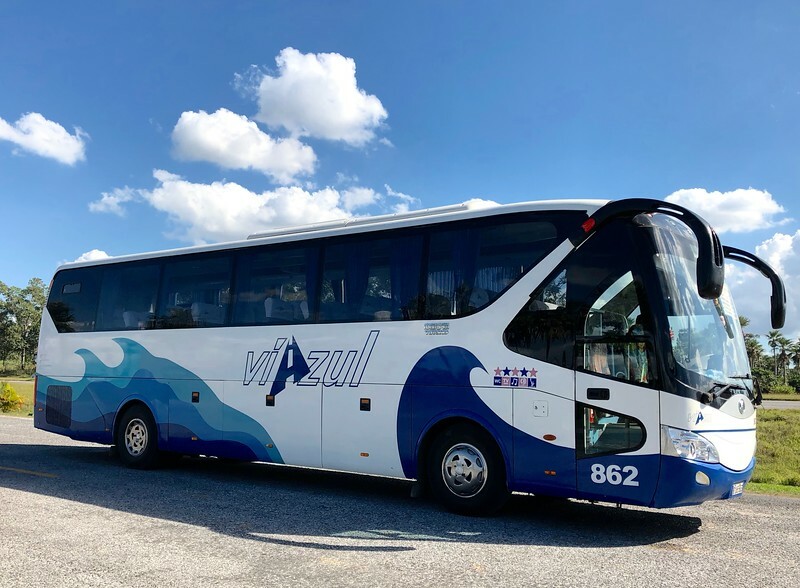 Viazul Bus sounds like a great option for getting around Cuba (a country I’m dying to visit!) I love how affordable those tickets are. I’m glad that the driver stopped for bathroom breaks. I prefer that to the bus bathrooms anyway.